Hop on the back of the dragon and ride through two of Medina's premier courses, Roscoe Ewing and Sam Masi. Slither your way through 2 amazing rounds of play. Also, layout maps available on UDisc app under "Sam Masi"
Do you have what it takes to tame this Beast!? 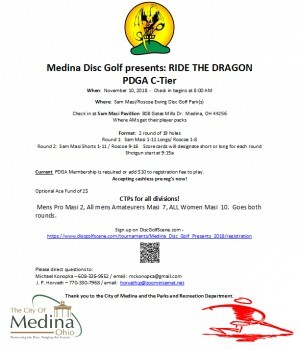 A current PDGA membership is required. (It's an additional $10 to play the event for non-members or those with expired memberships). Starting hole assignments will be posted by Friday evening. All payouts will be to the PDGA standards. Amateur payouts in merchandise, Pro payouts in cash. 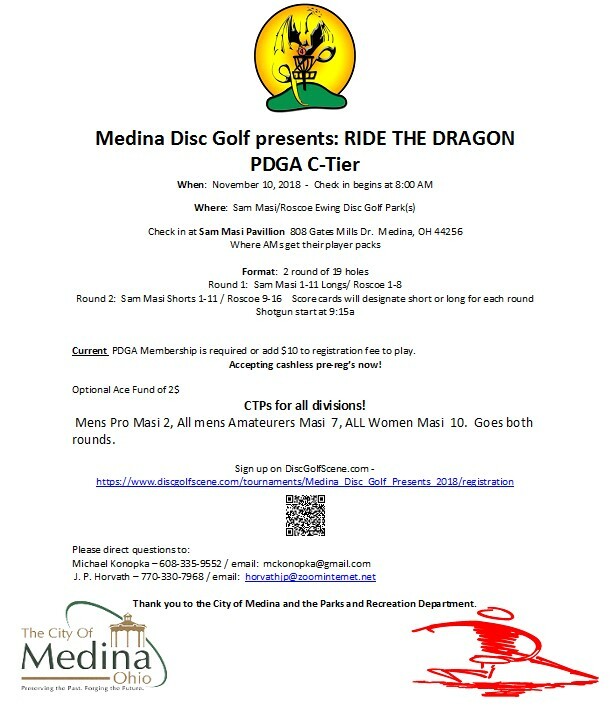 Medina Disc Golf is responsible for all refunds/cancelations.